On Friday (4th September 2015) I had a call from my local bike shop saying that my Bianchi Sempre Pro was subject to a factory safety recall, and asking if I could return the bike to them as soon as possible. There wasn’t any pressure that said “don’t ride the bike until we’ve checked it”, but I got the distinct impression that they wanted to check something quite promptly, so I dropped the bike into Veloton later that Friday. 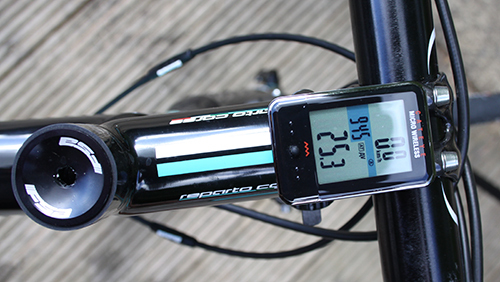 It appears that the concern lies with the stem, specifically something to do with the ‘connection’ between the stem and the steerer tube – which surprised me, as I thought that that was one of the simplest connections on a bike. The team at Veloton needed to strip this down, take some pictures and replace the stem – they did say that in a worst case, they might have to replace the forks. In terms of which bikes are affected, the factory recall letter seems to have said just Sempre Pro’s and Oltre XR1’s – my Sempre being a 2014 model. A friend’s Intenso bought at the same time, isn’t stated in the letter. It should be noted that the letter said that there’d been no injuries due to this issue/concern, but clearly a stem failure could have catastrophic results for a rider, so it absolutely must be checked. As of today, 7th September 2015, if you Google “Bianchi Sempre Recall” nothing jumps out, so this doesn’t appear to be public knowledge just yet. In my case, Veloton had my details on record and they were able to call me as soon as they’d heard from Bianchi about the recall. However if you haven’t been contacted by a dealer, maybe you bought the bike remotely, I would suggest that you contact the dealer to check whether you’ve been affected. Given that Bianchi have issued this recall, I think it’s emminently sensible for any owners to take heed of the advice and get their bikes checked. Update 2nd November 2015 – I got the Sempre back two weeks after it went in. The delay was caused by Bianchi not being able to supply a replacement for the original stem, so Veloton replaced it with a Pro stem to get the bike back on the road. I’m reliably assured that a ‘proper’ replacement will be forthcoming, but I’ve yet to hear about that… really must chase that up. Next PostSpecialized Grail gloves – Best mitt ever? Had the same call and also got a replacement. I got a matt black stem as a temporary repalcement. Hope to get my new (original) one back soon. Just got mine back, but with a black stem… No mention of an original. Have had problems with where I bought it and just wanted to get out of the shop and get my bike back after 3 weeks. Will try to follow up and see what the situation is with Bianchi but can’t find an Australian Rep so far.